Kristen Iversen is the author of Full Body Burden: Growing Up in the Nuclear Shadow of Rocky Flats, winner of the Colorado Book Award and the Reading the West Book Award, and chosen one of the Best Books of 2012 by Kirkus Reviews, the American Library Association, and Mother Jones Magazine, and 2012 Best Book about Justice by The Atlantic. 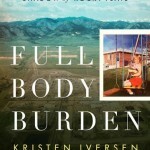 Selected by more than a dozen universities across the country for their First Year Experience/Common Read programs, Full Body Burden was also a finalist for the Barnes & Noble Discover Award and the Andrew Carnegie Medal for Excellence. Recently Full Body Burden was published in China and it is forthcoming in Japan. 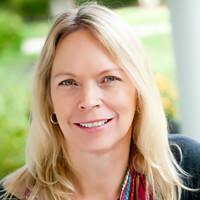 Iversen is also the author of Molly Brown: Unraveling the Myth, winner of the Colorado Book Award and the Barbara Sudler Award for Nonfiction, and a textbook, Shadow Boxing: Art and Craft in Creative Nonfiction. Her work has appeared in The New York Times, The Nation, Reader’s Digest, Fourth Genre, and many other publications. She has appeared on C-Span, NPR’s Fresh Air, and BBC World Outlook, and worked extensively with A&E Biography, The History Channel, and the National Endowment for the Humanities, and in 2014 was the recipient of the award for Distinguished Achievement in the Creative Arts from the University of Memphis. She holds a PhD from the University of Denver, and currently heads the PhD program in Creative Nonfiction at the University of Cincinnati. She has lectured widely across the U.S. and abroad. The Fellowship meant a great deal to me. At the time, I was just beginning to publish, and I was a single parent, raising two children on my own and teaching full-time. The Fellowship gave me more time to write, and most importantly, validated my work as a writer and brought me into a community of writers in the Bay Area which remains important to me to the present day. 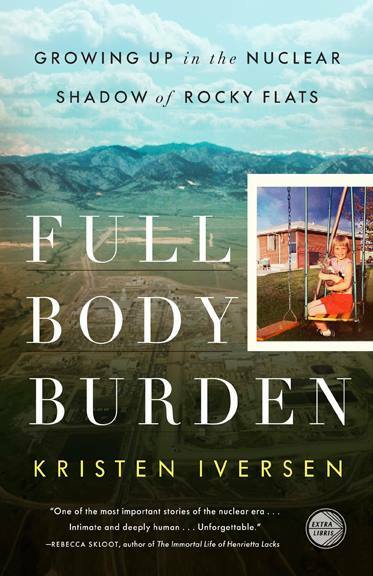 I have published several books, most recently Full Body Burden: Growing Up in the Nuclear Shadow of Rocky Flats (Crown 2012, paperback 2013), which won several significant national awards and has been translated into Chinese and Japanese. I have two books coming out in the near future; a novel and a nonfiction book. For several years I was director of the MFA program in creative writing at the University of Memphis. I currently teach at the University of Cincinnati, where I direct the PhD program in creative nonfiction and teach creative nonfiction and fiction. It's most important to stay focused on the work, but essential to stay connected to your community of writers and artists and continue to build that sense of community. Difficult for emerging writers and artists.